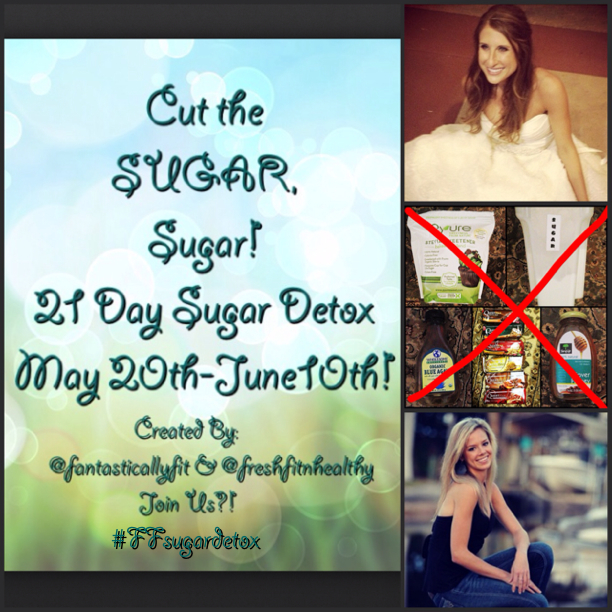 21 Day Sugar Free Detox?!! So, I am a sugar fiend! I’m talking chocolate and candy and then more chocolate and candy! I have been working on cutting my fiendish ways to a minimum. However, even when doing so, I still have been having really bad sugar cravings. After putting a lot of though into the reasons behind this, I realized there is added sugar or sweetener in a ton of food I eat! I try to use stevia, since it is a natural sweetener however, even though it is “natural” having excessive sweet food makes you crave sweets even more! The list goes on and on! I started cutting some of these things a couple of weeks ago! I now drink my coffee black. You can see how excited I am about that. However, my friend Sarah (the awesome blogger of http://freshfitnhealthy.com) and I were talking about it and decided we need to take it a step further and cut out all these added sugars in order to control our cravings and return our sweet tooth palate to a normal state. Therefore we decide to create a 21 day sugar detox! This is no pansy 1 week detox. This is the real deal with a whole 3 weeks without any sugar!!!! The only sugar we are allowing ourselves is sugar that is naturally occurring in fruit and veggies, etc. However here is the clincher: NO stevia, other artificial sweeteners, honey or agave. Now this is by no means going to be easy! It is amazing how many products have undercover added sugar and sweeteners. What does this mean? I will be eating whole natural ingredients as well as checking ingredients on products religiously. I am up for the challenge! Are you?????? 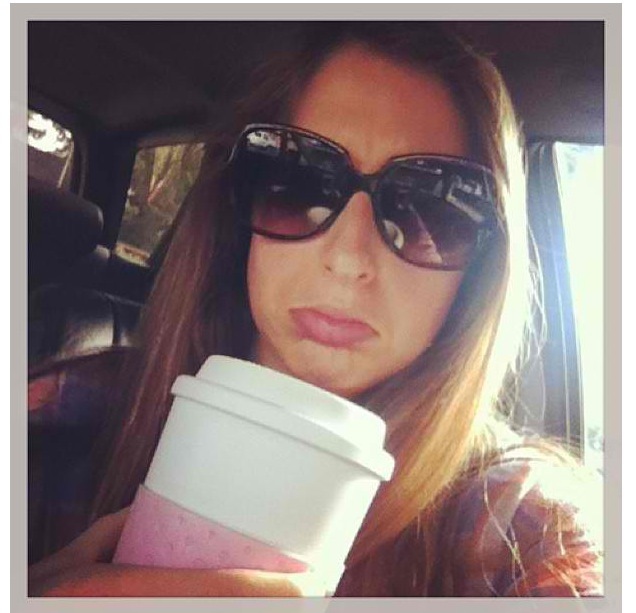 8 Responses to "21 Day Sugar Detox"
It is time to get this non-sugar party started. Getting rid of honey will be the hardest as I have been adding 1/2 Tbsp to my rice cake and nut butter snack for the better part of 1 year. I can kick the habit though! Hahahah! How is getting rid of the honey going? You mean other than wanting to pour the bottle down my throat last night……its going great……haha! I have been able to substitute with other items. Smash a date and spread that on the rice cake with sunflower seed butter and it is awesome. The best part is the finding of substitutes for the sugar that would have been normally consumed. ^^Agreed! dried fruits have become my new best friend! And nut butters, but that isn’t anything new p.s. “checking labels religiously” is the perfect phrase, as I seriously feel like one of those health freaks going through the grocery store now! Hi Christina! Yes it definitely helped reduce the cravings! And it made me enjoy non-sweet things and fruit sooo much more.. I had the no sugar fudge during the detox. Just make sure the only ingredient is cacao and nothing else and then you can have it! Let me know what you think of the fudge! –I’ve always been interested in healthy eating. and I’ve taken some nutrition classes. how do you know if there isn’t any added sugar to granola bars, cereal…any food? without it kindly saying it on the front?? Always look at the ingredients that is how you can tell if they add sugar. Almost all do aside from Lara Bars.